"Third Modernization of Kazakhstan: Global Competitiveness"
I am addressing the people of Kazakhstan as we approach the new era. The country has honorably passed its 25-year development phase. We are proud of our country. As part of the festivities on the 25th anniversary of Independence we have highlighted Kazakhstan’s achievements and progress. They are well known and appreciated by the world community. Kazakhstan has become a non-permanent member of the UN Security Council since the beginning of 2017. 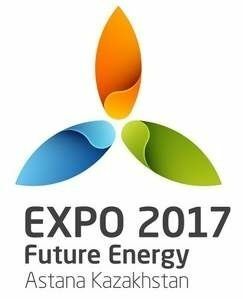 "EXPO-2017" international exhibition will be held in Astana this year. We are the first among the CIS countries and Central Asia to hold such an important global event. Sports events within the Universiade-2017 have started in Almaty, with the participation of over 2,000 athletes and delegates from 57 countries. All that is the result of a correct political path and Kazakhstan’s high authority in the international arena. Kazakhstan shall join the world’s top 30 developed countries by 2050. We will surely go for this purpose. In conditions of growing competition and the lack of stability in the world relevance of my proposed Strategy-2050 to the people in 2012 is increasing. We have been able to timely anticipate the forthcoming hard time. Due to "Nurly Zhol" Economic Policy and "100 Specific Steps" Nation’s Plan we are worthily going through the initial stage of a complex global transformation. Additional KZT 1.7 trillion have been allocated to support the economy only during 2014-2016. That provided an opportunity for economic growth and business support, and creation of more than 200 thousand new jobs. The result ensured the gross domestic product growth by 1% in 2016. That is particularly important under the current difficult conditions. The world situation is changing rapidly. That is a new global reality, and we have to accept it. Only those nations, which manage to get ahead of the future and decisively meet the challenges, without standing and waiting, are the winners. The next and fourth industrial revolution starts in the world. Universal economic digitalization will lead to disappearance of entire industries and creation of fundamentally new ones. Great changes before our eyes are both a historic challenge and opportunity for the nation. Today I pose a challenge of carrying out the implementation of Kazakhstan’s third modernization. It is necessary to create a new model of economic growth that will provide the country's global competitiveness. Currently, many countries are trying to solve the same problem. I am sure that the transition recipes to the new growth model are not equal. We should have regard to our strong points and not to lose our opportunities that we have together created over 25 years of our Independence. We all remember the 1st modernization of Kazakhstan. We have a memory of starting our way a quarter century ago on the ruins of the Soviet Union. Then from the foundation our generation created a new state, which was not on the world map. There was a transition from a planned to a market economy. It is crucial for me that together we have then managed to hold the country from the turmoil of internal conflicts and economic collapse. Kazakhstan came out of that period with minimal losses and the largest acquisitions. The 2nd modernization began with adopting the Strategy-2030 and creating a new capital city Astana. The results are undeniable. The country broke away from the economic crisis zone and joined the world’s 50 most competitive economies. Two successful modernization processes have given us invaluable experience. Now we need to boldly step forward and start the 3rd upgrade. This upgrade is not as plan of combatting the current global challenges, but a reliable bridge to the future, to fulfil the Strategy-2050 objectives. It will be held based on the "100 Specific Steps" Nation’s Plan. I see its five key priorities. They are designed to ensure the economic growth above the world average, and steady advance to the 30 leading countries. The 1st Priority is the accelerated technological modernization of the economy. We should cultivate new industries, which are created involving the use of digital technologies. That is a far reaching complex task. It’s critical to cultivate such sunrise industries as 3D printing, online commerce, mobile banking, digital services, including health and education sectors, and others. These sectors have changed the economic structure of the developed countries and have given a new quality to senile industries. In this regard, I charge the Government to work out and adopt a separate program called "Digital Kazakhstan". It is necessary to fit our legislation to the new realities. It is also important to make provision for development of communications and ubiquitous access to a fiber-optic infrastructure. The digital industry development will provide impetus to all other sectors. Therefore, the issue of IT-sphere development should be kept under special control of the Cabinet. Factor of great significance in forming new industries is to support innovation and fast introduction into production. I entrust the Government with establishing the IT-startup International TechnoPark on the basis of one of EXPO-2017 facilities. It has to become a platform for attracting entrepreneurs and investors from around the world. That requires appropriate infrastructure and the enabling environment, including tax breaks, simplified visa and labor regimes. We also need to develop the research and innovative potential of universities based on Nazarbayev University and "Alatau" Innovation Park. The 2nd complex task. In parallel with creating new industries, we should give impetus to the development of traditional basic industries. They are industry, agriculture, transport and logistics, construction and other sectors. Firstly, it is important to boost productivity. The main factor here should be the widespread introduction of elements of the 4th industrial revolution. They are automation, robotics, artificial intelligence, exchange of "big data" and others. I entrust the Government, together with business, with working out a package of measures on technological re-equipment of basic industries until 2025. Secondly, there is a need to continue industrialization with emphasis on the development of competitive export industries in priority sectors. I entrust the Government with the task of increasing non-oil exports in half by 2025. To activate the work in this direction is necessary to concentrate the tools of development and promotion of exports in the same department. Exporters need to provide support for the principle of "single window", including in the regions. I entrust the Government with creating a Council for Export Policy. It should include the business community representatives. Prior to September 1 this year, the Government together with the akims and businesses need to develop a unified export strategy. Kazakhstan should keep the leading position in attracting foreign investment. "Astana" International Financial Center should play an important role in attracting financial resources in the country’s economy. It is critical to fit into global chains of production and distribution of goods and services. This should be done primarily by attracting multinational companies. It is necessary to effectively implement a joint investment program with China to establish production facilities in Kazakhstan. The agreements have been inked with the Chinese side. The facilities have been identified. We need to work specifically. That will be modern production with creation of about 20 thousand new jobs for Kazakhstan. For the present the actualization of six projects has started and two projects have already been launched. One of them is a plant for large-assembly of JAC hybrid and all-electric vehicles. I instruct to study the issue of further development of electric vehicle production with export orientation, making provision for the necessary infrastructure. In general, Kazakhstan should have its own investment strategy. The government should prepare it before September 1 of the current year. Protection and promotion of national economic interests in the framework of international cooperation shall be provided. This includes, before everything else, the activities within the EAEC, SCO, interfacing with the Economic Belt of the Silk Road. Economic diplomacy work shall be rebuilt and strengthened. Thirdly, the country’s mining and oil and metallurgical complex shall retain its strategic importance for the economic growth sustainability. In the context of global demand slowdown it is critical to enter new markets and expand the geography of supplies. Much attention shall be given to expanding the mineral resource base. Active exploration is necessary to be held. Further development of these industries should be strictly linked to the deepening of raw materials complex processing. I entrust the Government with ensuring the adoption of a new Code on Mineral Resources and making the necessary amendments to the tax legislation by the end of the year. Fourthly, the agricultural sector shall become the new driver of the economy. Kazakhstan’s agriculture has a promising future. Upon many items, we can be one of the world's largest manufacturers of agricultural exports, especially for organic food production. 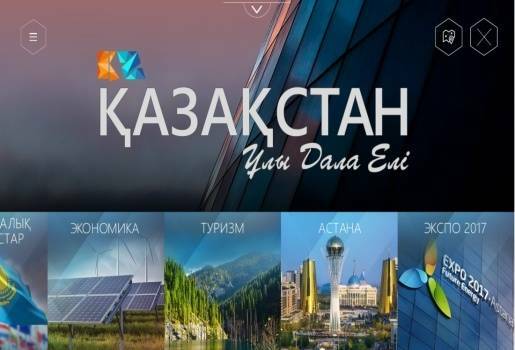 ‘Made in Kazakhstan’ brand shall become the standard of such products. At the same time we have to be a so-called "bread basket" for grain production for the entire Eurasian continent. A shift from primary production to the production of high-quality and processed products shall be provided. Only then will we be able to compete in international markets. Sixthly, investment in agricultural research shall boost, to be in demand in a business environment. I instruct to make provision for the export of food products increase by 40% by 2021 through the agricultural production diversification. These tasks should be fulfilled within the framework of the new agriculture development state program. Fifthly, the new Eurasian logistics infrastructure development is an important priority. Substantial investment has already been made. Now economic returns are necessary. - 4 times for passenger transport by air - up to 1.6 million passengers in transit. It is necessary to increase earnings from transit traffic by 5.5 times - up to $ 4 billion a year. In 2015, I initiated "Nurly Zhol" infrastructure development program. Over the past two years, the program has fully justified itself. During the current year 4,400 kilometers of roads of national importance will be covered by construction and reconstruction. Among them, no less than 600 kilometers with the staged at a fee implementation will be put in before the end of the year. Coordination with neighboring countries is critical to unlock the country’s transport and transit potential. It is necessary to ensure the goods transit freedom, creation and modernization of transport corridors. Particular attention should be paid to the transport infrastructure management, service level increase and elimination of administrative barriers. Due to the increasing traffic volume along the Trans-Caspian corridor it is necessary to proceed with the second phase of Kuryk port construction, a car way. Sixthly, urbanization processes necessitate the construction sector development. It shall become a full driver of the domestic economy. By my instructions, "Nurly Zher" Housing Program realization begins since the current year. It addresses a critical goal - housing provision for 1.5 million households in the coming 15 years. The program includes comprehensive measures of housing market development. It is cheaper bank loans for constructors by providing grants through "Damu" JSC. Subsidizing mortgage loans, issued by banks, for the population will take place through "Kazakhstan Mortgage Company" JSC. Construction of credit housing for ZhilstroySberBank depositors by Akimats will continue. Previously allocated funds by a "revolving" principle will be reused for that purpose. For vulnerable social groups the Akimats will continue developing rental housing without the right of redemption. For mass housing the akims should allocate appropriate land plots. We will strive to ensure that the construction of individual houses in the cities is carried out in a single architectural style. With this aim in view the government will assist with the necessary infrastructure. The Government together with the akims shall take measures for developing transport links with the nearest large city settlements. The 3rd complex task is the labor market modernization. Human resources will become available with technology implementation in senile industries. However, creation and development of new industries should become an additional source of employment and real income growth. I instruct the Government and governors to create the conditions for a controlled flow of workers into other sectors. Our sizeable enterprises should, jointly with akimats, develop appropriate "road maps". They need to provide co-investment in retraining downsized workers and their further employment. We need to support the labor mobility processes from labor-surplus regions, and from rural to urban areas as well. The Government should reform the employment centers and create a single online platform for all vacancies and all settlements. The 2nd Priority is massive improvement and the business environment expansion. One of our strategic goals is ensuring the contribution of small and medium-sized businesses in GDP of at least 50% by 2050. It is an ambitious but achievable goal. To achieve it at that stage the following is needed. Firstly, by my instructions, since this year the Government has launched a program of effective employment and business activity growth. Now the citizens of Kazakhstan in rural regions and towns can get a microloan of up to KZT 16 million for business operations. It is meaningful to broaden the geography of micro-lending, actively using tools to guarantee and service support of entrepreneurs. These measures should be accompanied by organization of business training and financial literacy. It is necessary to further improve support tools for business activity. Each region of Kazakhstan has to offer complex measures to develop mass entrepreneurship, including family businesses. The number of created new jobs, as before, is one of the key criteria for assessing the effectiveness of the Government and akims’ activities. Secondly, the Government and "Atameken" National Chamber of Entrepreneurs shall take measures on front end reduction of all kinds of costs for businesses. That especially refers to cost of services in the energy, transport and logistics, and utilities as well. Public services procedures should be optimized as much as possible. It is necessary to reduce the time and a list of documents and eliminate duplicate procedures. Thus it is necessary to change them over fully to electronic format, without physical presence. In addition, the existing regulatory burden on business is incompatible with the task of creating a new model of growth. I challenge the Government and akims to elaborate the action framework on business deregulation by July 1 of this year. It is necessary to implement the best standards and practices of developed countries. It is especially important to carry out this work at the regional level. Akims and the Government shall develop detailed plans to improve the conditions for doing business in the regions based on the World Bank ranking. Rating of regions and cities on the ease of doing business is critical to be introduced. We will institute a special award for the best. It shall be awarded once a year, on Industrialization Day. Thirdly, a reduction in the share of the state in the economy to 15% of GDP, up to OECD levels should give a new impetus to economic growth. Previously there was a list of about 800 enterprises for privatization until 2020. The work is in progress. The Government is assigned to speed up and complete the privatization of companies in this list until the end of 2018. There is also need of accelerating the preparation and output of our largest companies on the IPO. Introduction of Yellow Pages has reduced the types of activities for the state in the economy by 47% (from 652 to 346). The next stage is transfer to the private sector or elimination of all state-owned enterprises and organizations, which do not conform to these principles until 2020. And these are several thousand enterprises. The practice, when we created legal entities under each program or task, is meant to finish. It is critical to ensure privatization’s transparency and efficiency. There is also need of reconsidering the role of state holdings. The Government is tasked to provide a qualitative transformation of "Samruk-Kazyna" holding. It is necessary to conduct a thorough audit and optimization of both managerial and production business processes. As a result, it shall become a highly efficient, compact and professional. Management and corporate governance needs to get improved to the international level. It is necessary to clearly define what to leave for the state, in which important sectors and with what degree of participation. Natural monopolies and implementation of strategic projects, including with the participation of TNCs, shall be for the state to be left. These projects should give a multiplier effect. "Baiterek" and "KazAgro" are to be exposed to organizational change without fail. They must be operators on the implementation of government development programs. At the same time it is necessary to optimize their functions. All that can be done by the private sector is necessary to transfer to the business. They should also deal with the involvement of funding from non-state sources for program implementation. Fourthly, public-private partnership outspread is a strong potential for promotion of entrepreneurship. This refers to transfer of a number of government services to business. We already have good results on their involvement in preschool education. If during previous 3 years the state has built 189 kindergartens with 40 thousand places, the private sector has opened more than 1 300 per 100 thousand people. South Kazakhstan (397), Almaty (221), Kyzylorda (181) regions have opened more of private kindergartens. For me the PPP example in this sector is of fundamental importance. It shows how government and business together solve one of the most important national problems – to completely cover 3-6 year old children with pre-school education by 2020. The PPP growth depends on the akims’ specific and professional activities. All possible kinds and forms of PPP are critical to be used for utilization of private funds: trust management of state property, service contracts and otherы. Thus it is necessary to simplify and speed up all the negotiation procedure, particularly in relation to smaller projects. PPP is set to become a primary mechanism for infrastructure development, including the social one. To modernize housing and utility infrastructure it is critical to transfer it in trust or to PPP with feasible pending privatization. The government shall stop going rounds in circles. We need to become active in that process. Fifthly, it is important to prevent price and tariff fixing. The Government is assigned, together with "Atameken", to carry out "audit" of all legislation to identify regulations that hinder competition. The 3rd priority is macroeconomic stability. The key objective here is restoration of the monetary policy incentive role and involvement of private capital in financing the economy. Firstly, at present the National Bank has an important task for inflation targeting regime development. It is necessary to achieve the phased reduction of inflation to 3-4% in the medium term. Secondly, the financial sector’s "reset" is necessary. The National Bank is assigned to work out a set of measures for the banking sector enhancement. It is necessary to step up activities for clearing the banks' balance sheets from the sub-prime loans and, if needed, to make provision for their follow-on capitalization by the shareholders. The National Bank needs to be given more rights for the state banks’ operational control. It must move from a formalized approach to a risk-based in order to take measures of influencing the banks, without waiting for technical infringement on their part. It is also necessary to strengthen the responsibility of audit companies, to ensure transparency and shareholders and, as a whole, to improve corporate governance. All that should be fixed in terms of legislation. With a focus on handling a problem of money stringency in the economy and high interest rates on loans the National Bank and the Government are assigned to take measures for ensuring availability of medium- and long-term funding in KZT. The National Bank shall be responsible not only for inflation but also for economic growth together with the Government. Thirdly, the stock market’s further development. Privatization should give impetus to its development. It is necessary to float "Samruk-Kazyna" Fund, as I have said before. Further increasing the opportunities for people to invest their savings primarily in various types of securities is critical. At the end of 2016 we completed the legalization process. More than 140 thousand citizens of our country have taken part in it. In total KZT 5.7 trillion have been legalized, including KZT 4.1 trillion in cash. The task of the Government is that these funds work in the economy, through participation in privatization as well. At the same time there is also a need to consider issues of subsidizing private bond issues of Kazakhstani enterprises. The Government, together with the National Bank, is assigned to take measures aimed at enhancing the domestic stock market. Another key challenge lies in bringing the fiscal policy to the new economic realities. Firstly, it is necessary to radically improve the efficiency of budget spending. We fully provided the national programs with the necessary resources in 2017. The ministries and departments shall check the use of funds’ effectiveness. The Ministries of Labour and Social Welfare, Health, Education and Science should be the first, as they account for over 40% of the national budget. The reports are to be presented upon the results. It is critical to reallocate funds from ineffective programs on the program, making provision for accomplishing the tasks of the 3rd Modernization. Besides, the budgetary procedures shall be simplified for faster and more effective bringing of the funds to the real economy. Fiscal decentralization policy is critical to be carried on. In previous years a large number of functions and powers have been delivered from the central to the local level. Now they need to back up sufficient financial autonomy. At the same time it is important to avoid concentration of spending authority at the regional level. It is necessary to pass them on to the district and village levels. Akims must decide the issues of regional and local importance, and the Government is to focus on the national issues. Secondly, it is essential to more efficiently deal with the National Fund. The size of the guaranteed transfer from the National Fund must be gradually reduced to KZT 2 trillion by 2020. Tax policy should focus on stimulating business exit from the "shadow" and the tax base expansion in the non-primary sector. Optimization of the existing tax incentives is critical. New special tax regimes shall be taken into consideration in a new angle on the eve of the universal declaration. Tax administration arrangements remain wanting. First of all, it concerns VAT. Thirdly, the government needs to build monitoring and control system for the external and internal loans of the quasi-public sector and bring it to order. The 4th Priority is improvement of human capital in quality. Firstly, the role of the education system shall change. Our task lies in making education central to a new model of economic growth. Training programs should focus on the development of critical thinking abilities and skills of independent search for information. At the same time, IT-knowledge formation, financial literacy and education of youth patriotism shall be focused on. Reducing the gap in quality of education between urban and rural schools is critical. The Government is assigned to submit relevant proposals. Gradual transition to trilingual education. The Kazakh language retains its dominant position. Much attention shall be paid to its further development. Today, however, English is the language of new technologies, new industries and new economy. Currently, 90% of the world information is in English. Every two years its volume doubles. Kazakhstan cannot reach national progress without mastery of the English language. Since 2019 teaching in some subjects for the tenth- and eleventh-graders will be conducted in English. It is necessary to carefully consider this issue and take reasonable solution on it. Schools and teachers’ level in urban and rural areas differ greatly. Problem of competent teachers’ shortage is relevant. Therefore, considering all these aspects, introduction of the English language should be in a phased approach. Relevant proposals are to be submitted. "Free Vocational Education for All" Project implementation starts on my initiative since the current year. Free education, first of all, should cover unemployed and self-employed young people and people of working age who do not have professional education. It is necessary to give impetus to the development of vocational education system for training human resources for new productions within the marked economy. In pursuing these aims the professional standards’ upgrade in accordance with labor market requirements and best international experience of in-service training is essential. At the same time special attention shall be paid to the higher education system quality. It is necessary to enhance monitoring and requirements for the staff of higher education institutions, their level of business logistics and educational programs. Secondly, the health care system must change along with the educational system. From July 1 this year, a system of compulsory social health insurance starts to be implemented based on joint and several liabilities of the state, employers and citizens. This system’s effectiveness has been proven by the world’s practice. Participants in the health insurance system will be given a wide range of medical services. Participation of socially vulnerable groups in it will be supported by the government. The government needs to provide the health service informational support. Promotion of competition among private health institutions should be provided equal conditions within the CSHI (compulsory social health insurance) system. The Government and governors are assigned to conduct broad awareness-raising activities. It is also necessary to introduce medication price management legislation. Under my instructions, pensions for 2.1 million retirees will be increased by 20% compared to 2016 to July 1, 2017. In addition, the basic pension appointment will be based on the new methodology from July 1, 2018. Its size will depend on the length of participation in the pension system. All of these measures in 2018 will provide an increase of 1.8 times of the new basic pension size as compared to 2017. About 400 thousand children are annually born in the country, which is higher than the 1999 level by almost two times. This good trend should be backed up. Upon my instructions, the size of a lump sum birth benefit will increase by 20% from 1 July 2017. The living minimum wage shall be reviewed. It is supposed to accord with the actual consumer spending of Kazakhstan’s population. This will allow increasing for 3 million people the size of the basic pension benefits for people with disabilities and families without supporters, targeted assistance and benefits for disabled children to January 1, 2018. Starting January 1, 2018 the threshold has to raise for providing targeted social assistance from 40 to 50% of the subsistence minimum and implement its new format. At the same time all those who can work should be supported only on the condition of participation in the employment program. The 5th Priority is the institutional transformation, security and anticorruption efforts. Firstly, as part of the 3rd Modernization the Government needs to ensure the work on implementing the best practices and the OECD recommendations. Secondly, we carry out reforms aimed at protecting private property, the rule of law and equality before the law. The activity needs to be continued. The Government, together with "Atameken" NCE (National Chamber of Entrepreneurs) and civil society, are assigned to conduct an audit of all legislation to strengthen protection of property rights. The administrative and criminal law also needs to be humanized. Administrative fines should be fair and proportionate to the offense committed. It is necessary to carry out further work to reduce the penalties for offenses in the sphere of business. It is necessary to decriminalize economic compositions with a low degree of public danger. It is necessary to achieve greater confidence in the judicial system. It is important to avoid any undue influence on the work of judges. Thirdly, the security status becomes the measure of a strong and capable state. In modern conditions the humanity is faced with terrorism growth. The key here is the fight against financing the destructive forces and links with foreign terrorist organizations. It is critical to prevent religious extremism propaganda, including on the Internet and social networks. It is necessary to form a society of zero tolerance for any action related to radical manifestations, especially in the sphere of religious relations. The prisons should carry out organized purposeful activity of theological rehabilitation services to convicted persons. It is necessary to take additional steps to spiritual and moral education of the younger generation. Non-governmental sector and religious associations should be actively connected to that sort of activity. All these measures have to be taken into account in the worked out, on my behalf, State Program on combating religious extremism and terrorism for 2017-2020. Fight against cybercrime becomes more urgent. The Government and the National Security Committee are assigned to take action to create a "Cyber Shield of Kazakhstan" system. Fourthly, we have made significant steps to reduce the level of corruption in the country. At the same time, the main focus is on combating the effects of corruption. It is necessary to intensify efforts to identify and eliminate the causes of corruption and assumptions. One key issue is the procurement sector improvement. I instruct the Government to introduce a unified public procurement system on the principle of centralized services. The approaches for conducting procurement in the quasi-public sector, natural monopolies and subsoil sector also need to turn them around. Much in anticorruption efforts shall depend on the whole society’s active participation. With the social networks and other media resources growth the unified non-admission should be a powerful tool in combating corruption. By this Address I would like to convey to every citizen my view of development trends in the new reality. I instruct the Government to develop a strategic plan for development until 2025 for the country’s 3rd modernization titled “Kazakhstan’s National Technology Initiative". We have no other choice but meet the challenge gracefully and solve the problem for the country’s further modernization. I believe our great nation fully takes advantage of the unique historical chance. Kazakhstan is a new multi-ethnic, confident in its future, and dynamically developing country! We have passed the 25-year-old path of development. In the next 25 years we expect even higher frontiers. By accumulating a unique wealth of experience when creating a state, we have entered a new stage. I am sure that no matter what difficulties are ahead of us, we will overcome them. Our main strength is unity. We will turn Kazakhstan into a more prosperous country for our descendants!